Leadership is a challenging role. You have to adapt to constant change within your business environment, keep pace with your competitors, not to mention motivate and inspire your team members so you can all work together toward the common business goal. Having to deal with all of these responsibilities it’s not surprising that many leaders feel burnt-out, overwhelmed and at times defeated by their challenging aspirations. In order to cope with these demands, leaders have to develop a distinct mindset. A mindset that enables them to move forward during arduous times, influence others to make them move in parallel and of course, conquer their own insecurities or mindset hurdles. The good news is, this distinct leadership mindset can be learned. Nobody is born a leader. Those who have developed this mindset have learned it at some stage in their lives. That means you can too. In this article, I’ll show you five ways leaders improve their mindset so you can incorporate these changes into your professional life. This is a rather long article. I suggest you print it out and study it during today’s lunch break. If you have ever questioned your professional ability, convinced yourself that others know more than you do or felt you don’t deserve your success, you are a victim of self-doubt, otherwise known as the Impostor Syndrome. Self-doubt is extremely common. Studies have shown that between 70-80% of the population have suffered from self-doubt at one time or another. The higher you climb, the more common it is. Hence, it’s a familiar block that you will face as a leader. For students who attend my Leadership Presence Half-Day Master Class in Australia, learning how to overcome self-doubt is one of the topics that has helped them the most. Although defeating the Impostor Syndrome involves many steps, the first and probably the most important step is to de-stigmatise your self-doubt. 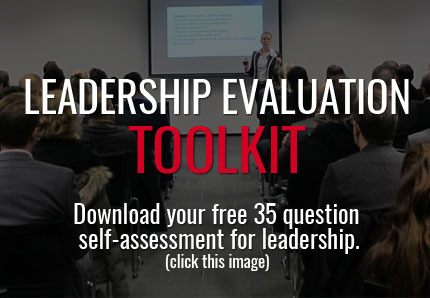 Tell yourself that self-doubt is normal, common and expected in leadership positions. Use a mantra such as, “The self-doubt I’m feeling right now would be felt by many others facing this situation. There’s nothing wrong with me or my leadership ability. I’m capable, competent and will overcome this issue”. As a leader, there will be times when you want to connect and inspire. There will also be times when you need to project power and authority. Knowing how to turn-on your power and authority when you need it is a skill that leaders must learn. In 2010, Amy Cuddy and a team of researchers performed a study and they found that by holding certain high-power nonverbal poses for two minutes, you can trigger a flood of power hormones throughout your body; your level of testosterone will increase making you feel more powerful, and your level of cortisol will decrease making you more tolerant to risk. This combination of feeling more powerful and less stressed is perfect for when you’re getting ready for daunting presentations or intimidating business meetings; situations that leaders often face. What are these high-power poses? 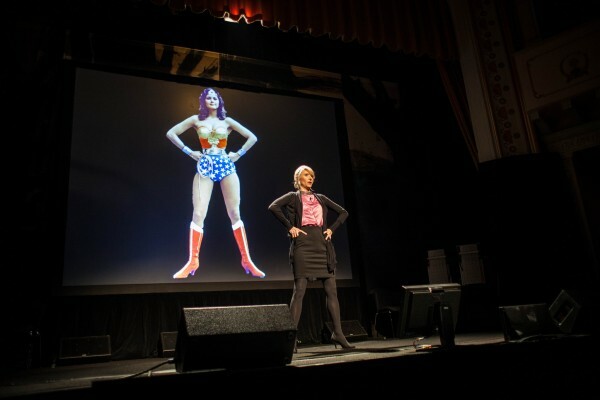 The Wonder Woman pose used by Amy Cuddy in her TEX talk is one example. Place your feet hip-width apart. Move one foot slightly in front of the other. Place your two hands on a table in front of you, wider than shoulder-width apart. Lean forward and slightly over the table. Hold this pose for two minutes. Sit down in your chair pushing your lower back into the back of the chair. Place your feet out in front of you (don’t tuck them under the chair). Cross your ankles if it’s more comfortable. Place your hands behind your head and make sure your elbows are stretched to the side. Hold this pose for two minutes. As a leader, you often need to get others to comply with your requests. In other words, you need to get others to do what you ask them to do. There are a number of ways you can go about this but the simplest to incorporate in your professional life is to always provide a rationale, or a reason, for your request. Studies have shown that when you provide a rationale, it triggers an automatic compliance response and the other person is likely to comply with your request virtually without thinking about it. This request is fine. It’s polite. The manager gives a deadline for this afternoon. However it lacks a “push” that will make David carry out this request immediately. Let’s compare to Request 2. Request 2: “David, can you e-mail me those invoices by this afternoon because I need to send them on to our accounting department by 5pm?”. The difference between these two examples is when you add a reason or the word “because” that explains why you need that person to take action, it triggers an automatic compliance and pushes that person to move immediately. Leaders use this technique when they’re trying to get a team member to complete a simple action. Positive affirmations are an easy and very effective way to keep you moving toward your ambitious goals. Entertainers, sportspeople and successful business people commonly use affirmations and many say it’s a major contributor to their success. Working with my students, and after hearing from other busy professionals, many tell me they’ve tried affirmations but after a couple of days they lose momentum. Yes, it’s time consuming and it does take a small amount of energy away from your day-to-day duties. However when it’s something you commit to and when you give it the focus you need, it will change your business success forever. If you’re worried about how to fit positive affirmations into your working day, then I have a simple fix for you – schedule them! Write down a list of 14 positive affirmations. On your smartphone, tablet, or laptop open your planner or scheduling program. Schedule each of these affirmations (one per day) as a reminder that will pop up every day for the next two weeks. Choose morning or evening depending on which is more effective for you. After two weeks, reflect on whether these constant positive affirmations have given you more motivation and focus. If so, continue to schedule them for the next 6 months. Leadership, like any other business skill, must be learned and developed. You are not born a leader, nobody is. Yes, some people seem to project leadership presence and leadership qualities more naturally than others. However even these “natural born leaders” have learned leadership skills at some stage in their life. 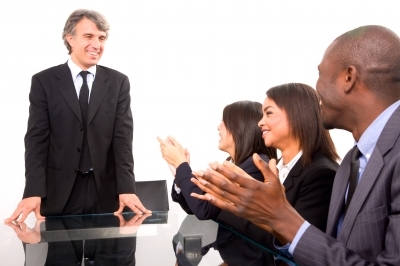 Whether it’s changing the body language postures you use, learning how to verbally communicate with more authority or improving your leadership mindset, by learning strategies and techniques that have worked for others and incorporating them into your life, you can drive your business success. I hope this article has given you some effective ways you can improve your mindset as a leader. If you want to dive deeper, click on this link to preview the Leadership Presence 30 Day Challenge video course. The Leadership Presence 30 Day Challenge video course is designed to show you exactly how to develop your leadership reputation, increase your authority and influence in business, and get recognised as an emerging leader in your field. I hope you enjoyed reading! 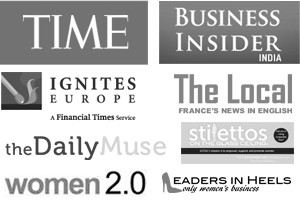 Feel free to e-mail me at contact@executive-impressions.com if you have any questions.